“IP Issues for Small Businesses,” co-presented with Dana Jozefczyk, 2018 Colorado Business Law Institute in Denver, Colorado, September 13, 2018. “Headaches in U.S. enforcement efforts,” CITMA Spring Conference in London, England, March 22, 2018. 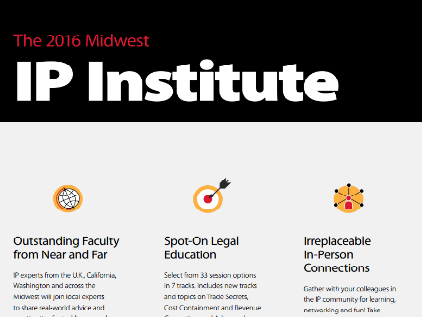 “Cost Effective Global Trademark Roll Out and Portfolio Management Strategies,” 2016 Midwest IP Institute, Minneapolis, Minnesota, September 22, 2016. 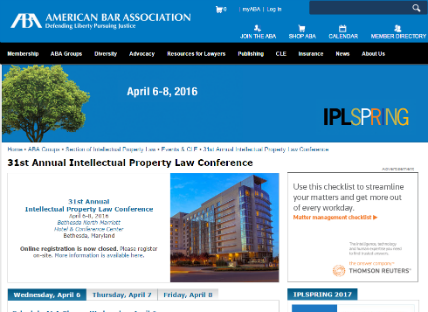 “Constructing Persuasive and Admissible Trademark Surveys,” ABA Intellectual Property Law Spring Conference, Bethesda, Maryland, April 8, 2016. 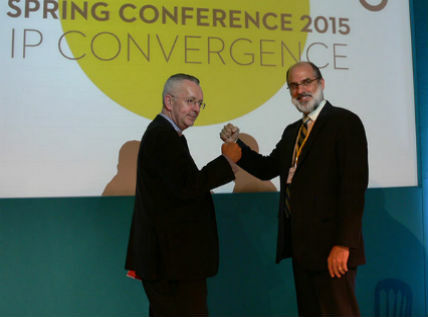 “Viewing Specsavers Through the Lens of the American Mutilation Doctrine,” ITMA Spring Conference in London, England, March 20, 2015. “The Many Faces of Trademark Use: What to know about Borderline use,” INTA Leadership Meeting 2014 in Phoenix, Arizona, November 14, 2014. “Understanding the Trademark Examiner’s Perspective -- Tips for the Private Practitioner,” presented with Scott Oslick as a webcast to the Maryland State Bar Association, Intellectual Property Section, March 2, 2011. “Your Other Nagging Advertising Law & Strategy Questions . . . And Their Answers,” panel discussion at the Minnesota State Bar Association Advertising Law and Strategy CLE, March 11, 2011. “Typical Issues Affecting Madrid Applicants Before the USPTO,” AIPPI Czech National Group, Prague, Czech Republic, March 29, 2011. “What Every Business Lawyer Needs to Know About Intellectual Property,”presented as webcast for Minnesota CLE’s Business Law Series, October 29, 2009. “Dilution -- the U.S. Perspective,” presented to the Institute of Trademark Attorneys (ITMA) Autumn Conference, Lisbon, Portugal, September 25, 2009. “Protecting Packaging and Product Design” Workshop moderator and speaker at International Trademark Association 2009 Annual Meeting in Seattle, Washington, May 18, 2009. “The Importance of Accurate Declarations of Use and Intent to Use Applications in the U.S.,” presented to the Institute of Trademark Attorneys (ITMA) Administrators Conference, London, England, U.K., March 25, 2009. “Global Perspectives on Trade Dress Protection: Best Practices for Protecting Product Shapes and Designs - US, Canadian, European & Latin American Perspectives on Methods and Limits of Trade Dress Protection: The US Perspective” presented at American Intellectual Property Law association 32nd Mid-Winter Institute, Miami, Florida, January 30, 2009. “Domain Names, Keyword Advertising and More: An Update on How to Protect Your Trademarks on the Internet,” presented at Computer and Technology Law Institute CLE, Minneapolis, MN, October 24, 2008. “U.S. Trademark Law Update, Fraud, Keywords and More,” presented to the Institute of Trademark Attorneys (ITMA) Evening Meeting, London, England, U.K., June 24, 2008. “Section 44 of the Lanham Act and Foreign Based Filings,” presented to Minnesota Paralegal Association IP Sectional, Minneapolis, MN, March 18, 2008. “Using the European Community Design System to Supplement Trademark Protection in Europe,” presented with Katie Cameron of R.G.C. Jenkins & Co., London, England, at 2007 Midwest Intellectual Property Institute, Minneapolis, MN, September 28, 2007. “Trademark Basics” presented with Andrew Ehard as webcast for 2007 Midwest Intellectual Property Institute, September 26, 2007. “Practical Advice on Ad Clearance under the Trademark and Copyright Laws,” presented at Advertising Law & Strategy in 2007 CLE, Minneapolis, MN, May 18, 2007. “Trademarks 101” presented to a meeting of the Pre-Paid Legal Organization, Minneapolis, MN, April 2006. “Issues Clients Face When Cutting and Pasting Content from eZines, On-line Newspapers and Email Bulletins” presented at the Copyright Committee meeting of the Minnesota Intellectual Property Law Association, March 29, 2006. “Intellectual Property and the Arts” presented at Hatchfest 2005 Film Festival in Bozeman, Montana, October 7-8, 2005. “Trademark Issues Related to Importing into the United States and the European Union” presented with Alfons Bauer of Munich, Germany, at the U.S. Embassy in Zagreb, Croatia and the American Chamber of Commerce in Croatia (AmCham), September 8-9, 2005. “What Every Attorney and Their Business Clients Need to Know about Emerging Copyright Issues,” presented at Hennepin County Bar Association, June 15, 2005. “Advertising Law Crash Course,” presented at Minnesota CLE, April 6, 2005. “Trademark Law Update,” presented with Acting USPTO Trademark Commissioner Lynn Beresford at 2004 Midwest Intellectual Property Institute, Minneapolis, Minnesota, October 7, 2004. “American Experts’ First Experiences with the Madrid Protocol,” presented to Federal Republic of Germany’s Bundespatentgericht (National Patent and Trademark Court), Munich, Germany, September 30, 2004. Moderator, “Advanced Tips from the TTAB” and “Internet Policing and Enforcement Strategies,” panel discussions at International Trademark Association 2004 Annual Meeting in Atlanta, Georgia, May 4 and 5, 2004. “Who Owns What? Strategies for Handling Critical Intellectual Property Issues,” presented at Minnesota State Bar Association 2004 Advertising Law and Strategy CLE, Minneapolis, Minnesota, March 18, 2004. “Internet Brand Protection: Current Monitoring and Enforcement Strategies,” presented to Spitz Gaul Golda firm, Munich, Germany, May 9, 2003. “Internet Brand Protection: Current Monitoring and Enforcement Strategies, A Case Study by Christopher Schulte,” presented at State Bar of Wisconsin CLE Program: “ Intellectual Property Law in the 21st Century,” Milwaukee, Wisconsin, March 28, 2003. “The Fascinating World of Trademarks,” by Christopher J. Schulte, presented to Fireman’s Fund Insurance Company General Counsel Office, Novato, California, February 27, 2003. 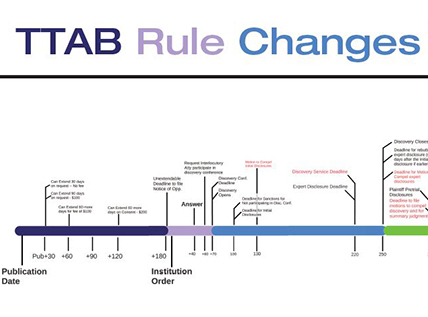 “Update on New Domain Name Extensions and Cybersquatters,” by Christopher J. Schulte, presented at the Minnesota State Bar Association Annual Convention, St. Paul, Minnesota, June 21, 2001. “Protecting Your Brand Online,” by Christopher J. Schulte, presented to the Financial Communicator’s Network, University of St. Thomas, Minneapolis, Minnesota, May 2, 2001. “Protecting Your Assets: A Guide to Trade Secret, Copyright, Trademark and Noncompete Protection,” October 1998 Seminar presented by Meagher & Geer Employment Services Practice Group, Minneapolis, Minnesota. “The Domain Name Gold Rush,” by Christopher J. Schulte, delivered at the Minnesota State Bar Association 2000 Computer Law Institute, Minneapolis, Minnesota, October 10, 2000. “Intellectual Property Infringement Exposure for Corporate Directors and Officers on the Internet,” by Christopher J. Schulte, delivered to The St. Paul Companies, St. Paul, Minnesota, July 13, 2000. “The New Anticybersquatting Law and Uniform Dispute Resolution Policy for Domain Names -- Justice at Last for Trademark Owners or Yet Another Bad-faith Claim to Plead in Trademark Litigation?” by Christopher J. Schulte, delivered at the American Bar Association Annual Meeting in New York, Torts and Insurance Practice Section Program, July 9, 2000. “Advanced Issues in Legal Technology for the Minnesota Paralegal,” by Christopher J. Schulte, delivered to the Institute for Paralegal Education in Minnetonka, Minnesota, February 16, 2000. Lessons to take from the NFL’s aggressive enforcement strategy, by Christopher J. Schulte, Minnesota Lawyer (February 2, 2018) (minnlawyer.com/2018/02/02/lessons-to-take-from-the-nfls-aggressive-enforcement-strategy/). Lean and Mean—Are You Effectively Managing Your Global IP Practice? INTA Roundtable, Presenter, March 26, 2015. Take Care with Overseas Branding, by Christopher J. Schulte, Vol. 10, No. 2 Today’s General Counsel 26 (April/May 2013). "How to File a Trademark," Inc.com (February 15, 2010) (commenting on trademark clearance and filing process). 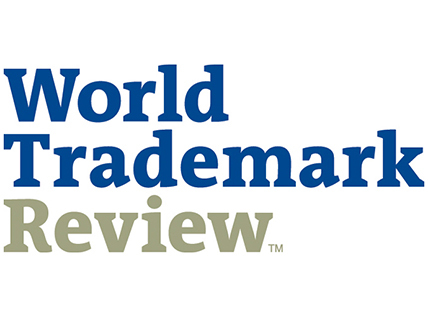 "Wal-Mart Case Highlights Trademark Regime Differences" IPLaw 360 (May 16, 2006)(explaining difference between U.S. trademark registration scheme and other countries in context of "Smiley face" trademark case). "High Court Dodges Commercial Issues in Declining Falwell Case , " E-Commerce Times (April 19, 2006)(commenting on how clients can manage gripe sites on-line). "Good Fences: Even Companies Without 'Special Sauce' Can Protect Their Brand," Upsize Magazine (April 2006) (commenting on methods for stopping online trademark infringement). "Firm helps businesses ensure they aren't misrepresented online," Wisconsin State Journal (May 11, 2005) (quoted on using surveillance software to identify on-line trademark infringements). "Download Actions Too Harsh" St. Paul Pioneer Press (June 29, 2004)(quoted on litigation strategy of Recording Industry Association of America to stop downloads ). "Making Partner: Treating Your Attorney Less Like A Vendor And More Like A Business Partner Can Pay Off For Both Of You," Twin Cities Business Monthly, 96 (Dec. 2001). "Here Today, Here Tomorrow, Law Firms Are Doing What It Takes To Service Clients In Our Global Economy," Minnesota Business, 46 (July 2001)(quoted on Internet's impact on law firms). "Safety Helmet, Small Firms Need to Protect Their Big Ideas," Twin Cities Business Monthly, 136 (May 2001)(quoted on strategic partnering to leverage intellectual capital). "Dress for Court," Minnesota Technology (Sept.-Oct. 1998) (quoted on trade dress trademark issues). The first thing Chris asks his clients is whether they’ll be selling overseas because locking down protection ahead of time saves them time and money and minimizes the risks associated with global branding. He is skilled at identifying and resolving complex clearance issues on global rollouts, working with his clients over the long term to anticipate and minimize branding issues. Chris is a partner in the Minneapolis office and chair of the trademark practice group. He assists his clients in the U.S. and overseas with trademark issues related to global portfolio management, clearance, registration, and enforcement, and is constantly developing innovative methods for finding trademark infringements in the marketplace and online in order to protect his clients’ brands. Chris has served as a member of, and chair of subcommittees for, several international trademark organizations such as the International Trademark Association, the Institute of Trademark Attorneys (U.K.), European Communities Trademark Association (Europe), the German Intellectual Property Association and the Pharmaceutical Trademark Group (Europe). 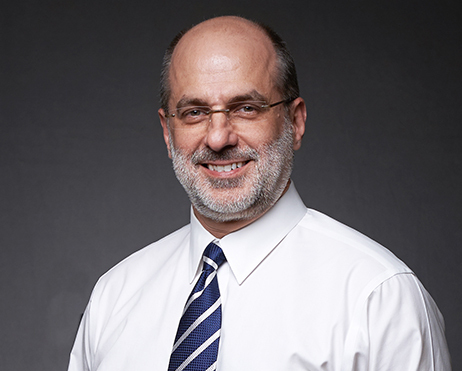 Chris is a frequent speaker and writer on trademark issues in the U.S. and Europe and has served as an Adjunct Associate Professor at the University of Minnesota Law School teaching the Trademarks course. Chris also serves as a mentor to law students at the University of St. Thomas School of Law.